First of all, excuse my long absence time. Now, it might just be me, but when I look at the forum, I feel that the general structure is a little ... off. Right now, it is hard for me to explain why, but I wanted to - generally - ask if anybody feels the same and if so, what could cause this feeling. For some reason I also believe that the area "Game Quitters Community" should be changed. I believe that the "main room" is not a good way to handle things. I kind of believe, that "Relapse" for example, should be a split, entire area for itself. Just like the journals or the main room. 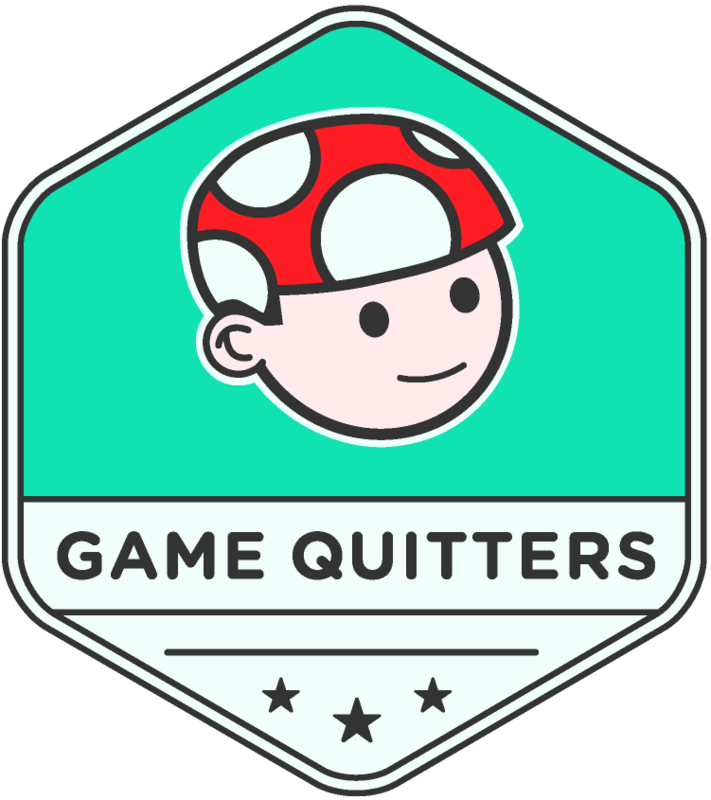 Also, within the "Game Quitters Community" there should be an area for "Creativity & Productivity". I feel that many people, once they begin their detox, they start with a lot of creative work and work that expresses feelings and moods. This area is right now, partly, in "Art & Music" and such. But somehow, the GQ Community should be strengthened and thus, had more precise areas. My main issues with the sub-areas like "relapse" or "celebrate" is that every new post "hides" the one published before. If somebody posts something in "relapse", but right after that another user posts a celebratory article, the relapse post will not be shown on the right side, even though relapse posts to me, are always pretty urgent, since a member of the community is in distress and probably needs attention. This is why I think relapse especially should have its own area. I know that you will see new posts once you browse through the sub-areas, but with a growing number of members, the need for structure is important, I guess. Anyway, does anybody have any particular ideas about the general forum structure? I'd just like to brainstorm a little. Would it be useful to have a hidden area like the respawn area, just for journals? Like, if somebody would love to share his or her thoughts and experiences but feels they are too private for everybody to see, should there be a hidden area and users can apply to be part of this area? Just like to hear some ideas. Edit #2: Also, I would love to see a "After the detox" area. People who have questions or have finished the detox should be able to share their experiences, structured or not, for those that went the same way or those that are still on this way. To be honest, it took me a couple of hours after posting the initial post, but now I feel like I can see clearly. Cam does not have too much time to work on the forums, so I feel it is necessary that a team of willing people does the work around here and continues the path. Keep in mind, this is no criticism. I love the whole GQ mission. I love the premise and this website has enriched my life in non-measurable ways. But for Cam, it is important to focus on the interviews, on spreading the word and all the other projects he has going. At the same time, I feel this forum keeps falling asleep somehow and I would love to see it be a thriving, living place for those that come out of the darkness, seeking for light and guidance. And the first step, in my opinion, should be to re-structure this forum. Not only due to what I say. I think, it would be good to ask the people who used this side to get back on track, how it could be improved. And I would like to help wherever it is possible. Sorry for being the way I am right now. 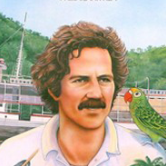 But I know this mission, Cam's mission, is really important and we as the community should help him where we can. And I feel I have to make up one or two things. Hi Robert and welcome back. It is great to hear from you and that you are still doing fine! I recently had similar thoughts and Hitaru our Moderator was thinking about possible changes too so I repost it here (where it is more appropriate anyway). I've been thinking about things to do in the community, for the community. We still have the same situation overall than the last time I made comment on it: awesome and friendly people but active members few in number. Small tries to do activities or annual/mensual things failed in the past from lack of commitment, however the journal input is going great. Which leads me to the other issue, most people here either relapse and go MIA or succeed and take fly to enjoy their new life 24/7. My guess is this lack of commitment in other things than journaling (and to a moderate extent, replying other journals) comes from sheer lack of 'passive peer encouragement'. That means threads in the other sections are anecdotal and pretty much dead, not much moves there. So I guess our first priority would be to ensure a steady number of active members, and then (or previously or simultaneously) a way to speed up the process of learning what is GQ about for newcomers and lurkers. What I've learnt from reading a bunch of journals is... people are actually making the same questions. All. The. Time. Of course I do as well, I re-write all the time wondering about things easily found in the YT videos or mentioned a thousand times already. These questions should be summarized in a quick guide or infographic to be mercilessly spammed, and canned links and messages readied to be handed when inevitably someone asks for the Nth time if they should quit cold turkey or that they feel cravings or in emotional flatline from quitting and not finding anything else fun. While still being engaging, personal and friendly. Hmm. I think it is sometimes a question of clearness. Sure there are the here to start posts but there is a lot of "not so important" subtopics like books or health on the same level as the journals. I feel like people want some real live contact more then long conversations in forums our days.. Discord helps there, but to be really effective there should be an experienced gamequitter at strict times there. Like a live Q&A.It is like the forum is still to big for the community using it right now. There is so much content from Cam (All this youtube videos, thepodcast all this journals) that even with some clear guidance like Respawn there is an easy way to use the forum to mindlessly surf and use it as a (worse because content starved) quora. Of course there are no easy solutions but I would start by putting the two parts which are most active more in the front of the page and less clicks away from the people needing help. This would be the Introductions, the daily journals, the success/failure story's and the discord chat. The whole idea here is imho to connect like minded people. And these is the thing we should focus on. Then it would be easier to streamline the helpful content here on this page in a better faq where these recurring questions are sorted and answered. Respawn should be a useful addition but not needed to quit gaming. I would recommend it to everyone because it is a great resource but a lot of people learn the important steps i.e. easier with youtube. Because here is no voting mechanism like in quora/reddit/stack overflow there is a need for moderation to keep the important and "good" topics in front of the forum. Maybe an featured content of the week could be a good idea. Another nice idea to use the community to reach something could be monthly events. For example "The club of the iceman". Everyone gets the right to use the tag "Iceman" who did 30 cold showers and described its effects in an extra thread or his journal (people could ask to receive the trophy and then you or someone else could check the receivers journal or thread for validity). Other ideas would be "Early bird" ( 30 days of getting out of bed before 6am), "Zen Master"( finishing headspace trial). I am sure there are more similar things around which could make people stay active even if there detox is over. Also there could be a thread where. To keep people around in the forum helping other people we need to give them more incentives. Successful gamequitters tend to improve their lives instead of sitting online in a forum. That is why I would suggest to list the reasons why staying here continuing after your detox and helping new gamequitters can be beneficial to you ( harder to relapse, leadership skills, development of emotional intelligence, sense of purpose by helping other people with your experiences and ironically maybe some gamifaction content where you can be proud on your real life achievements (for example the custom titles i mentioned on top). Also some content which changes in a regular time intervall (article of the week, youtube video of the week... Something like this). I am shooting just out of the hip here but these could be some topics which could be realised with moderator time spent. This forum isn't set up to be self-accumulating because community work has no incentives. This makes it less addicting and less interesting over time. I personally need no incentives to be here, because I like to interact with the other gamequitters in a constructive way and trying to help them by following cams example (as he did answer here a lot).But I don't feel like this spirit or idea of helipng other gamequitters is strong enough to motivate a bigger amount of people. This fire needs some fuel or it will burn steady in this size (which isn't a too shabby thing either!). I will come back to answer to your post a little later. I believe you mentioned a lot of important points that should be highlighted! First of all, I totally agree that the focus should heavily lie on the journaling area, introduction and succes/relapse area. Right now, the core, the game quitters community is at the top, but quite small. I think, it is important to logically re-structure this area and focus on what should be the main area. One of the questions I asked myself was: Why does this forum exist? Some of the points you two mentioned give the answers. After the detox, many people go either back into gaming, so they relapse, or they move on to something that suddenly became interesting to them or they live their life to the fullest. So, it kind of is a fact that this forum exists mainly for those in the detox. Some people will stay and help others, but I think this forum does not serve to talk about every day stuff. It helps people prepare to find every day stuff to do. That means, just like WIP mentioned, there need to be valid reasons to stay and help others. So instead of "Life outside gaming", we could use a "After the detox" area. We would have an Introduction area (before the detox), a during-the-detox area and a place to improve even after the detox. The last area should, like WIP said, show the attraction of staying to help. People could become moderators for a couple of weeks to see how good their mentoring skill is or so. The details can come later, but you get the idea of the new structure. And I also agree with Hitaru, that we need threads that sum up important answers, that are frequently being asked. Sorry, my concentration is really off right now. But I hope you get the basic idea. And I am convinced that if we stick our heads together, we can kind of upgrade this forum. I keep looking at the GQ sticker on my desk and something is odd to me. The sticker, just like the image above, have quite positive colors. Yet, the main color for everything in the forum is red. Alarmingly red. It might just be me, but I think the area names should not be red, but rather the cyan or blue that is used in the pictures. Like I said, it could just be me, but the red always signals "error/failure/wrong/alarm" to be. It might help to switch to something more positive and supportive. Just a thought, let me know what you think. I like that green in the background image. How about switching the forum black background for that or something else? Now that you mention it, you are right. I did not think about the black color. Would you suggest to change the black top bar in the forum (the one with the GQs logo in it) or the black bars that say "Welcome" and "Game Quitters Community"? Or both? Edit: Just to show what I mean. This image shows the forum in a more gentle, positive, yet fitting color. 1. I like the suggestion for Relapse to be more prominent. 2. I agree about having precise subforums, but right now there isn't a ton of activity for things outside of Daily Journals so the more precise the subforum, the less activity it will have, and thus the less activity it will inspire. It's a tough balance to find. I'd be open to combining the "Lifestyle" ones into something like two such as: Creativity & Productivity, Books & Podcasts. 3. I think a private area for journaling would do more harm to the community than good. Although some may want to journal privately, part of the recovery process is about opening up and being more vulnerable about your experience. Having one area to journal (in public) helps to facilitate that, and if someone really wants to journal privately, they can in their own ways outside the forum. 4. I've changed LIFE OUTSIDE GAMING to AFTER THE DETOX - Thoughts? 5. For the forum branding colors, we're gonna start the process in the next few weeks to redo all of the branding for GQ, so let's circle back on that conversation then. 6. Still open to any ideas for streamlining the content. My main idea for now is to take the YouTube videos or other posts (case studies for example, forum topics) and make structured threads on key questions. To be honest, I really don't have time to do it (hence why it hasn't been done yet), but I'd be totally open to crowdsourcing it together. 2. Totally understand. Could become a thing for the future but should not have priority now, like you said. 3. Totally agree on that, too. "Skills & Education" - "Fitness & Nutrition" - "Art & Entertainment". All books, podcasts, interviews that are educational/have to do with stopping gaming/improving life, could go in the first category, thus making "books & podcast", which is a very specific description, obsolete. "Fitness & Nutrition" (or "Health & Nutrition") is self-explanatory, but rather important since quitting games means taking care of business, including health and nutrition. 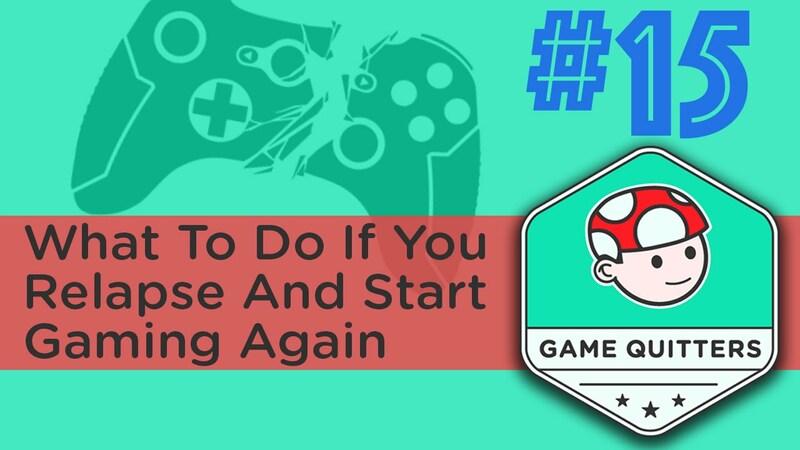 "[Relapse] - What to do if you relapse and start gaming again?" "What to do if you relapse?" "1. Chill. 2 Remove your installed games. 3. And so on, you get the idea. The formatting would look way better and such." 7. Under "Game Quitters Team", there should be an invisible thread, only visible to certain people. Like an admin area, just not only for admins, but for those that volunteer to work on the register of videos and basic forum order and such. Because organizing it in here would not be cool and probably end in a mess. I assume there is an admin area already but you get the idea. An invisible area for organization. I would volunteer to work on the videos and I am sure we will find more people to help. Just tell me what you think of these suggestions. My ideas are mainly to get the forum easily organized and help people find what they are looking for. From there, we can always improve. Edit: Also, I like the new "Donate"-Button. Way more organized, needs less space but explains the process even better. Cool!